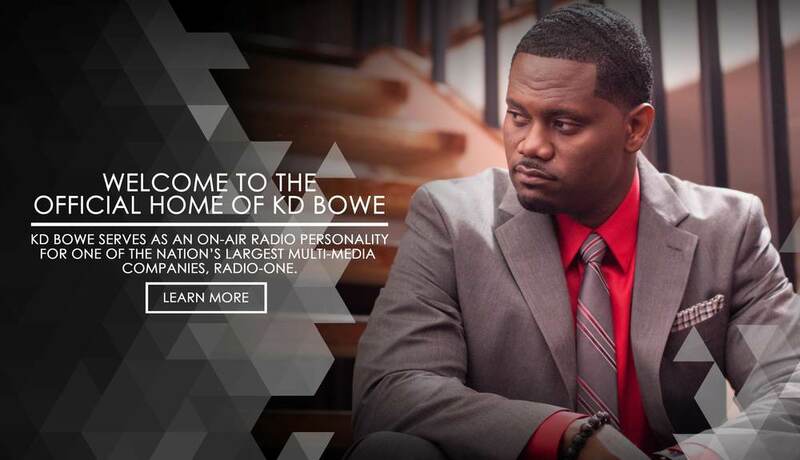 KD Bowe (KD) serves as an on-air radio personality for one of the nation’s largest multi-media companies, Radio One. His influential voice commands the attention of audiences worldwide. His mission of educating and empowering individuals through a practical yet principle-centered approach to living is what attracts men and women to his on-air programs and community outreach initiatives. For the past 20 years KD has served as a role model for men, a mentor to youth, and an inspiration to his local community.